LegalSifter and Patrick Law Group, LLC (“PLG”) are proud to announce a strategic partnership to offer a “combined intelligence” solution for contract review, preparation and negotiation to corporations and other business clients. The combination of Patrick Law Group’s transactional legal expertise and business acumen, and LegalSifter’s artificial intelligence, allow Clients to review and execute business contracts quickly, confidently, and cost effectively. Patrick Law Group has deep expertise negotiating a wide range of commercial agreements, and Clients will see immediate benefits resulting from its adoption and implementation of this innovative legal technology. Combining the power of Patrick Law Group’s highly experienced transactional lawyers with LegalSifter’s powerful artificial intelligence technology means Clients can review and draft contracts more quickly by employing a consistent approach and process to the review process. Contracts are uploaded to a secure site, and then reviewed (“sifted”) for legal issues. LegalSifter utilizes technology (“Sifters”) trained to read text, look for specific concepts, and identify important terms that require additional consideration or are missing entirely. 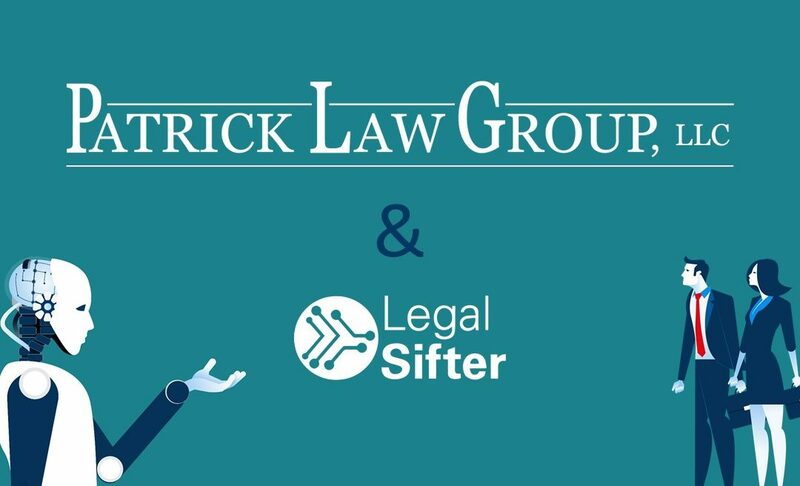 The Sifters trigger help text and alternative language suggestions that have been customized and tailored to the Client’s business and negotiation positions by the legal team at Patrick Law Group. In addition, Sifters learn from experience and improve over time. Since the product is fully configurable, Clients can feel confident that their specific legal perspectives are incorporated while having access to their trusted legal advisors 24x7x365. “Patrick Law Group is committed to providing innovative legal solutions to our Clients, and we are excited to bring artificial intelligence to the contract negotiation process. Artificial Intelligence is transforming the practice of law, and our Clients will be able to expedite contract review by leveraging LegalSifter’s AI and PLG’s deep expertise in drafting and negotiating commercial agreements,” said A. Elizabeth (Lizz) Patrick, Chief Client Officer and Founder of Patrick Law Group. Patrick Law Group, LLC will offer LegalSifter-enabled solutions to Clients for a wide range of contract negotiation matters, including Software-as-a-Service Agreements, Software License and Support Agreements, Data Security Agreements, EULAs, Non-Disclosure Agreements, Business Associate Agreements and Services Agreements. For additional information, please contact A. Elizabeth (Lizz) Patrick, Chief Client Officer at 404-437-6731 or email at lpatrick@patricklawgroup.com or Linda Henry, Deputy Counsel and Vice President of Operations at 404-525-3229 or email at lhenry@patricklawgroup.com. Patrick Law Group, LLC is an agile, results driven law firm focused on preparing and negotiating Business Contracts for our Clients in the United States and abroad. We have drafted thousands of agreements for companies in a broad range of industries for their purchase and sale of a wide spectrum of goods and services, including those relating to complex construction and development projects, technology, procurement, logistics and fulfillment, and promotional marketing and advertising. We are woman owned and operated, certified as Women’s Business Enterprise (WBE) by Women’s Business Enterprise National Council (WBENC) and a member firm of the National Association of Minority & Women Owned Law Firms (NAMWOLF). LegalSifter is dedicated to bringing affordable legal services to the world by empowering people with artificial intelligence. LegalSifter intends to achieve its mission by working with the legal profession, not against it.